Lucie Höflich made her acting début at sixteen at the Bromberg City Theater, moved in 1901 to the Intime Theater in Nürnberg, and was hired the following year by the Raimund-Theater in Vienna, where she quickly made a name for herself. In 1903 the famous Max Reinhardt called Höflich to his Deutsches Theater in Berlin. Höflich’s first marriage (1910 – 1917) produced a daughter, Ursula (*1911). Höflich appeared in many European countries on her tours with Reinhardt. In 1913 she acted in a film for the first time. Before 1933 her shifting engagements brought her to various Berlin theaters (Preußisches Staatstheater, Reinhardt’s Theaters). For a time she was married to Emil Jannings. In 1932/33 Lucie Höflich worked in Hamburg. With Ilka Grüning she headed the Staatliche Schauspielschule (State Acting Academy) in Berlin in 1933/34, and from 1936 on had her own studio for training young actors and actresses at the Volksbühne. In 1937 Höflich was named a Staatschauspielerin and temporarily ended her active stage career. 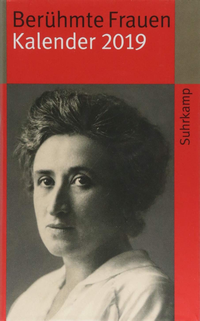 Her biographies claim that she refused to appear on a German stage after the Nazi seizure of power. But a conflict with her growing film career seems more likely than a protest motivated by conscience: in the years 1934 to 1943 alone she acted in eighteen films, among them the National Socialist propaganda film Ohm Krüger. 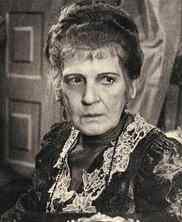 From 1946 to 1950 Höflich was theater director, actress, play director and head of the acting school at the Mecklenburgisches Staatstheater in Schwerin. In the acting school young talent was groomed for study at national acting academies. Many of these young actors and actresses would later become internationally known. In 1946 Lucie Höflich became an honorary member of the Deutsches Theater, and in 1947 a professor. After 1950 she resided in Berlin, where she acted on the stage and taught at the acting academy. But she suffered greatly from age-related afflictions which hindered her in her work. In 1953 she was awarded the Bundesverdienstkreuz (Federal Medal of Honor, Germany’s only order of merit). Höflich died, presumably from the after-effects of a heart attack, at age 73. Lucie Höflich was an important pillar of the Reinhardt-Theater and attained the high point of her fame around 1920 as a great realistic character actress. Her acting artistry was marked by naturalness and high intensity despite minimal physical gestures and a restrained vitality with sudden outbursts. Many prominent actors and actresses were successfully trained by Höflich, among them Marianne Hoppe, Otto and Eberhard Mellies, Inge Meysel, Lilli Palmer and Annemarie Wendl. Angrick, Dieter W. (14.10.2004): Wer war eigentlich … Lucie Höflich. Kulturportal Mecklenburg-Vorpommern (Hg.) 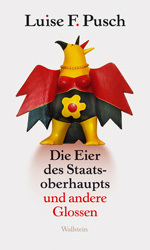 (26.01.2007): Historische Personen. 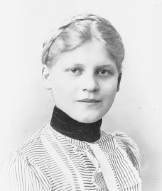 Lucie Höflich. 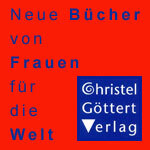 MVweb GmbH & Co. KG. Lucie Höflich | THG Lexikon.